I’ve been trying to decide since I bought the wagon just what I wanted to put on there for rims. I really love the factory aluminum alloy wheels that the Roadmaster came with. They suit the car, and really look great with a set of whitewalls. I have no disappointment at all with the factory look. As you can see with a good cleaning the factory rims and whitewalls are a nice look. 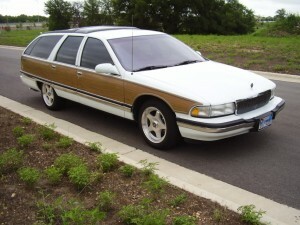 However…That 280hp LT1 V8 puts the mid-90’s B-Body wagons right smack in the musclecar range. Buick torque is legendary and with that engine driving it these cars are downright mean on the highway. It’s often said that Buick Roadmaster wagons are for people who want to be able to do a 12 second quarter-mile and haul sheets of plywood while doing it. These are likely to be the last station wagons of their kind. They’re huge and I just can’t imagine their like ever gracing our roads again. 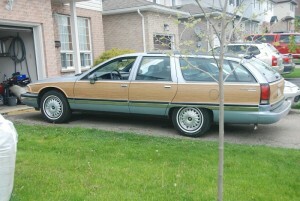 The last true North American sleeper wagon. All that rambling aside, the musclecar association with these wagons makes me want to give it a little tougher look. 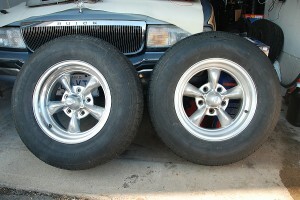 I pondered going with the factory rims from the ’94-’96 Chev Impala SS sedans. 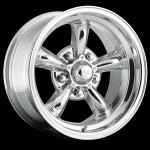 These are a great looking rim for the Impala and they really lend themselves well. A member over at StationWagonForums.com we know as “81×11” has put the Impala SS rims on his Buick and, as can be seen below, there’s no denying that it’s a great look. For me, a big part of the joy of such a large car is the smooth, floaty ride. While I like the look of the 17″ rims of the Impala, the Roadmaster was originally equipped with 15″ wheels. The means a lot more rubber between the rim and the road. I was concerned that moving up to a 17″ rim might take away from the smoothness of my ride so I decided to stay with a 15″ rim and opted for shiny instead. I managed to locate a set of very lightly used Eagle Alloy Series 111 rims in a polished aluminum finish. An uncoated aluminum rim can make for a pretty dramatic increase in maintenance but the beauty of these is that they can be pretty easily brought back to a factory shine with just a bit of elbow grease. No need to send them out for recoating or polishing. Just buff them up at home. 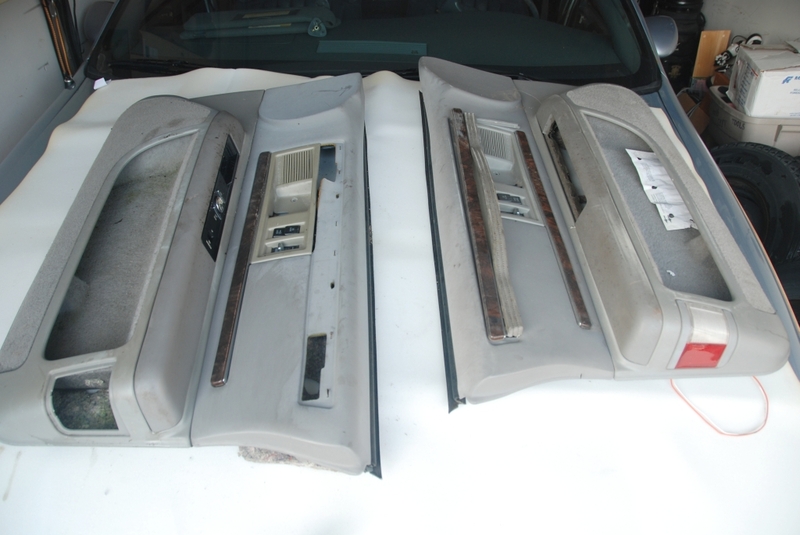 I set to work on these the other day, but I think I’ll still have a fair ways to go to get them as clean as I think the Roadmaster deserves. The rims were regularly washed by the previous owner but not polished or buffed and there are a fair number of the ever-present asphalt flecks on the surface. I’ll have to get all of the asphalt off before I can really get started with polishing but with even an hour or two of work, these are already starting to look good. The wheel on the left has been washed and I began polishing it with a metal creme. The wheel on the right hasn’t been touched yet, it’s exactly as it was when I purchased it. I plan on getting these as shiny as they day they were made. Stay tuned for more details and as many pics as I remember to take.